The innovation projects at Gericke related to Industry 4.0 are intended to be a benefit for customers. The two machine control systems Easydos for our loss in weight feeder systems and the STP 61 control for the pneumatic conveying systems communicate via Ethernet IP. They can therefore be addressed directly, which is necessary for the networking of Industry 4.0. The benefit lies in the exact process management with efficient start-up and shut-down procedures as well as a complete traceability of the process parameters. 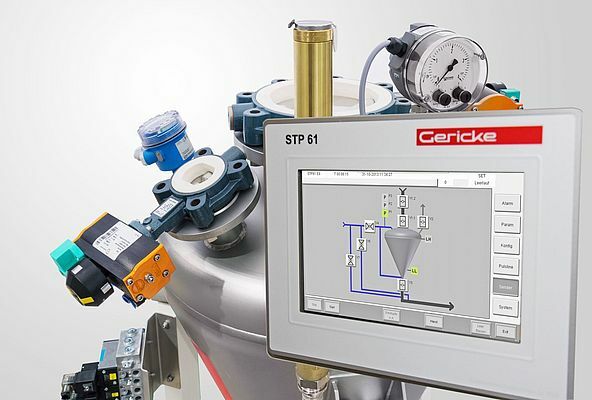 In addition the user saves money because the pre-configured control units do not need an elaborate programming effort with error loops when the PLC is being installed.The control units are available at our Gericke Test Centres. With product trials, the project development time can be reduced and planning reliability can be gained.